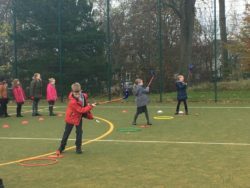 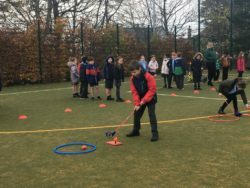 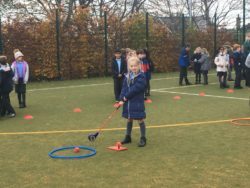 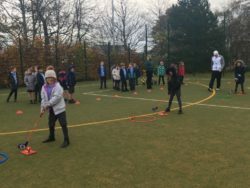 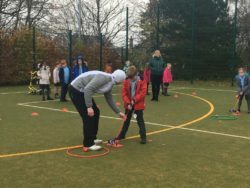 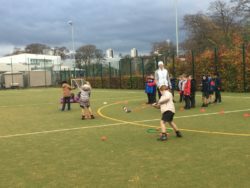 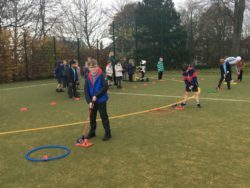 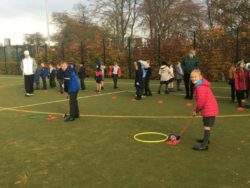 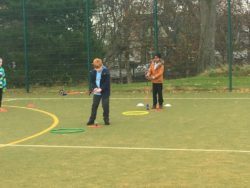 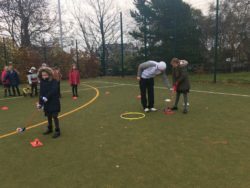 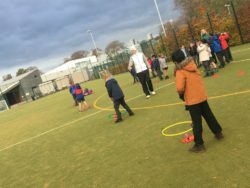 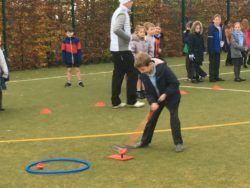 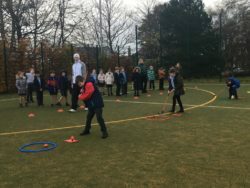 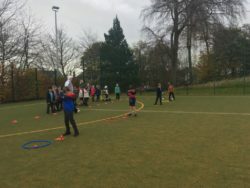 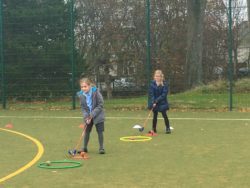 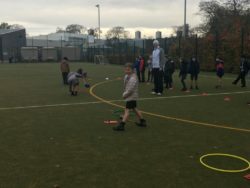 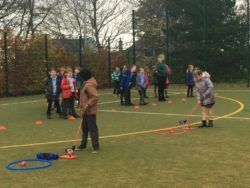 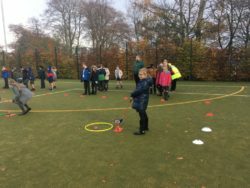 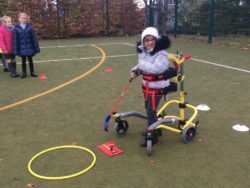 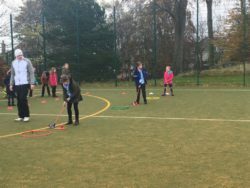 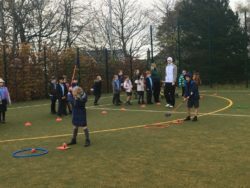 We have been trying out a new sport in P.E. 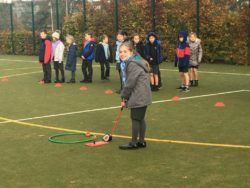 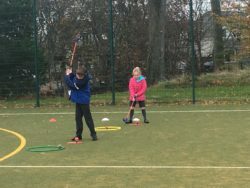 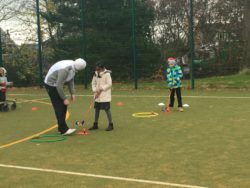 recently – golf! 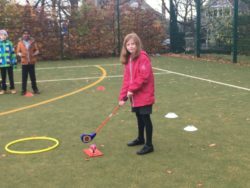 We had to chip the ball up into the air and aim at different targets. 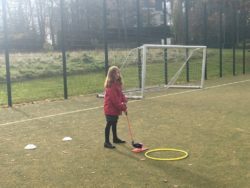 It was a lot of fun, even though it was very cold!